If you're planning an elegant affair this holiday season, these recipes will ensure that the menu lives up to your reputation. Just in case you're running a little late with the main course, have this delightful flatbread ready for your guests to nosh on as they arrive. 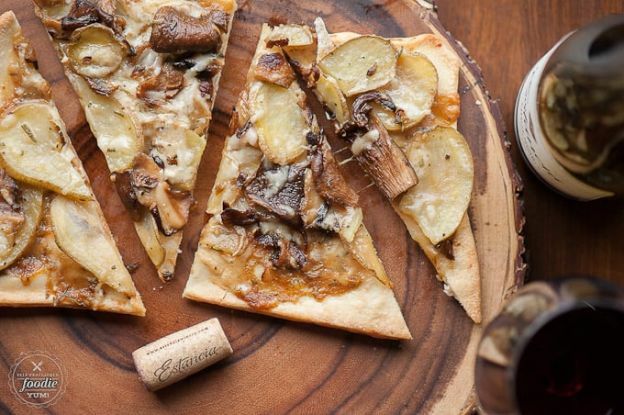 Greet your guests with a glass of white wine and this wild mushroom flatbread to set the mood and help facilitate conversation. Here's the recipe.